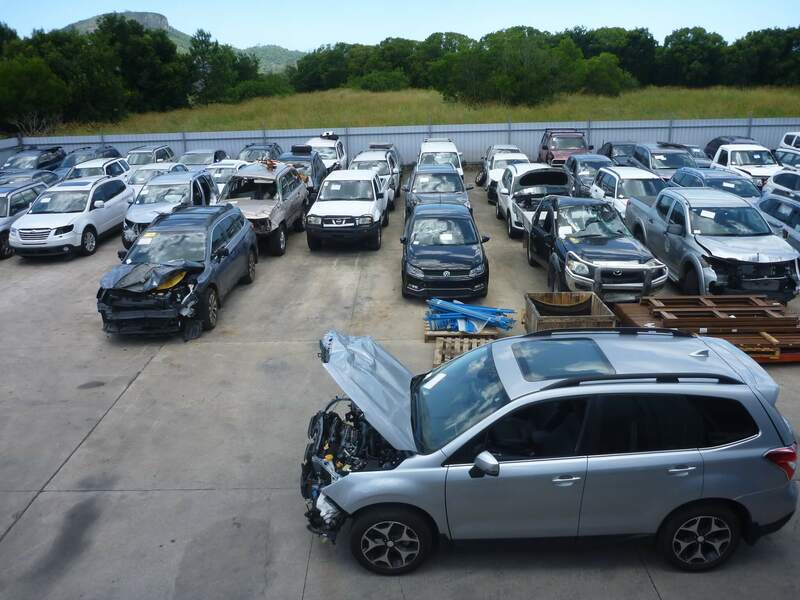 VB Auto Spares (a general dismantling business) became Sunspares for Subaru in 1986, with a staff of 1 and the owner, at a site at Sippy Downs in the Sunshine Coast Hinterland. Changing operations to become a Subaru Wrecker – a single make dismantling yard – allowed for a more compact, efficient operation with fewer vehicles on the Sippy Downs Site. Concentrating on only the Subaru brand led to an increased focus on product knowledge and customer service. As customers requested fitting of parts and servicing of their vehicles the emphasis of the business went from pure dismantling to more service orientated. From this point Sunspares started to grow with 2 more employees joining the company within 12 months. As Sunspares expanded its operations to include car sales, interstate parts sales, refurbishment and reconditioning, staff numbers increased to 7 full-time and 2 part-time. With new environment protection legislation coming into effect in the late 1990s Sunspares owners saw the opportunity to reassess and improve and by implementing new waste treatment and disposal methods and recycling practices, to be leaders in environmentally friendly car recycling. With the move to Yandina we were fortunate in having a three-month period in which to relocate. With the assistance, dedication and co-ordination of our staff (they were remarkable – even managing to keep their sense of humour when operating the sales office at Sippy Downs whilst the parts they were selling were located at 20 kilometres away at Yandina) the move was successful and a new era in dismantling had begun. In January 2005 Mark Adams became the third owner of Sunspares Parts Plus. Continuing with the same concept and striving to improve wherever possible Mark and his dedicated staff have driven Sunspares to new heights. We now have 14 full time employees working in Parts Sales, Used Car Sales, Vehicle Servicing & Repairs, Dismantling & Recycling Operations and Warehousing. In 2006 we opened a new improved website offering a view into our business with an e-mail parts enquiry service. In 2011 we ventured onto Facebook then opened our Sunspares Parts Plus eBay store. Long acclaimed for our experience and knowledge of Subaru vehicles in 2017 another innovation has been to include the Volkswagen range of vehicles in the cars we dismantle and the parts we sell at Sunspares Parts Plus.